THE MOST IMPORTANT 90 DAYS OF 2018! —All 435 seats of the United States House of Representatives are up for grabs. because of the abnormal amount of Republican retirements this year, there are fewer districts where [R] have incumbency advantage. This puts several states at HIGH RISK of losing the seat to a radical #ResistTrump leftist. The ONLY WAY Q+/Trump will be able to #DrainTheSwamp and expose the evil, is with cooperation from the State Governors/Senate/Congress. and the entire rollout of the investigation will have to be sent back to the drawing board. MSM coverage will be scarce, and majority of the headlines will be bias based on state/local media. That means hardly ANYONE will be able to tell you who all is running, most wont even remember what day to go vote. NOBODY will realize the dems have been working nonstop preparing a coalition of 'progressive' #NeverTrump'ers that plan to outnumber us in our own communities. with just a couple solid redpill memes of impact, it can be a gamechanger to competitive advantage. the #RedWave could be MUCH MORE than ANY OF US can comprehend, and we could make an impact that could literally shape our Nation's future. Special election in Ohio's 12th congressional district following the resignation of Pat Tiberi, held on August 7, 2018. Special election in Michigan's 13th congressional district following the resignation of John Conyers, to be held on November 6, 2018, coinciding with the regular elections. Newark, New Jersey: Incumbent mayor Ras J. Baraka was re-elected to a second term with 77.05% of the vote. Phoenix, Arizona: Thelda Williams is the incumbent and acting mayor after Greg Stanton chose to resign on May 29, 2018, to seek election for the United States Congress. San Francisco, California (special): London Breed was elected to succeed the deceased mayor Ed Lee. Washington, D.C.: Incumbent Muriel Bowser (D) is running for reelection. Ted Yoho, FL "really helpful with taxcuts"
Lena Epstein for congress, Michigan "thanks for your support"
Josh Hawley for Senate, Missouri "We need you in Washington"
John James for Senate, Michigan "future STAR of R party"
Kris Kobach for Gov, Kansas "fantastic" "full and total endorsement"
Marsha Blackburn for Senate, Tennessee "great supporter" "will vote for our agenda"
Lou Barletta for congress, Pennsylvania "really helping with Steele"
John Barrasso for Senate, Wyoming "doesnt need my help"
Upstate Q-Yorker here to serve! We have lots of work to do! Lets wash the north red! Now thats a room i haven't seen in awhile. Democratic incumbents in both Minnesota districts are leaving office, and the races to replace them are widely rated as tossups. The GOP now holds three of the state’s eight House seats. Oregon Anon here, lets fix this country. Here is the emblem of the society, can anyone confirm who this belongs to? Posted this some time back in qr. County level focus on low percentage areas then focus high percentage. Map is colorized with legend showing percentage. County level USA game of RISK. Not a game. 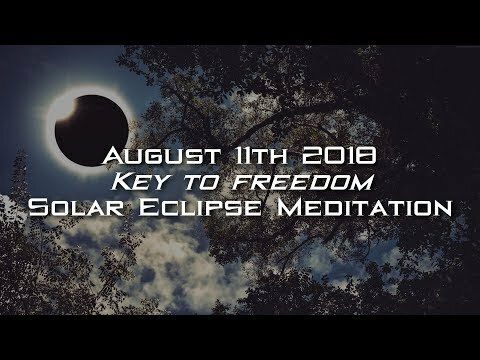 For those who feel guided there will be a mass meditation tomorrow at the moment of the maximum point of the solar eclipse on August 11th, 2018 at 9:11 AM UTC. Any one have some links to voter fraud proof. Would be interested in this as well. Before coming here to research was wondering how to prove it and fix our state. Who to call when you have proof? Who to call when you suspect? FEC requires proof, and documentation from what I could find.